List Price: $25 USD (approx £16 GBP and €23 Euro depending on local taxes etc). Current interest in forest or woodland garden designs reflects an awareness that permanent mixed plantings are inherently more sustainable than annual monocultures. They safeguard and enrich soil ecosystems, enable plants to form cooperative combinations, make use of layers above and below the soil, and they create benign microclimates which soften winds and recycle the rain. The challenge is productivity: how can yields of useful foods and other useful materials be maximised? The latest book from Plants For A Future is a resource for discovering some of the answers. Edible Perennials provides detailed information, attractively presented, on 50 selected perennial plants, based on practical experience and observation, plus a wide range of reputable sources. All these plants yield edible produce: roots, tubers, seeds, oils, fruits, stems, flowers, or leaves, and many have other useful properties, which are also described. 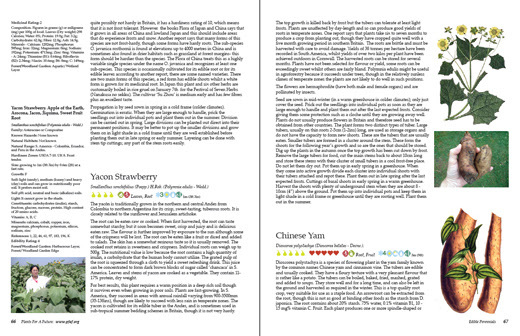 For each entry the descriptive text is augmented by summary information panels covering various attributes such as natural habitat, cultivation needs, nutritional value of edible parts, and potential uses within woodland garden designs. We have included some more unusual species that may not be well known to growers interested in trying out different food crops and new designs for their plots. 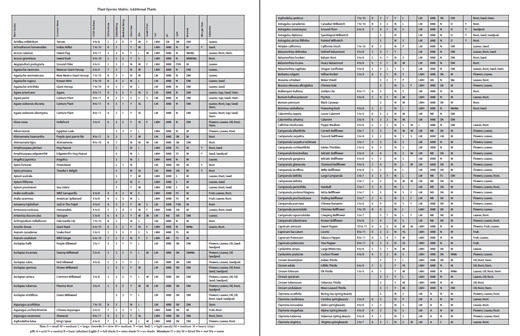 The book also has a reference table of the key characteristics of nearly 400 other perennials, to help readers to identify plants that meet their particular requirements. 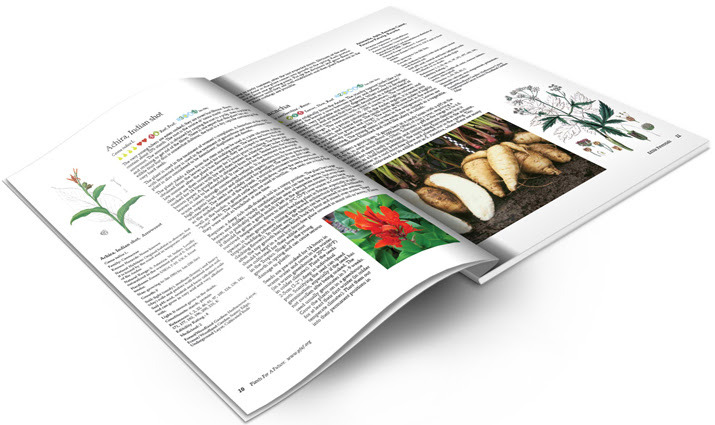 A plant matrix for all the plants included in the book with a summary of the key plant information to further aid is selecting and using the right plants. 400+ additional plants included for further choice.